Home / Product Features / Student Sign-Up Form 2.0! As many of you know (because you were awesome beta-testers! ), we recently introduced a new version of the Student Sign-Up or Registration form. More modern look and feel with colors that can be customized to match your site. 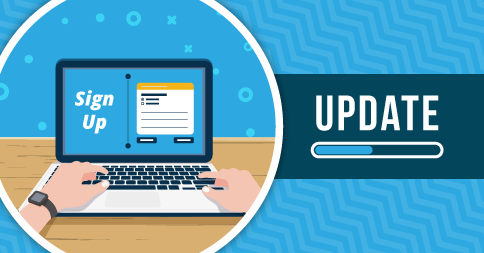 If you’re using a My Music Staff-hosted website with a sign-up (registration) form, your form has been automatically upgraded to this new version. The old version has been retired. Uploading/attaching an animated gif to your emails (and website) now works as expected. The platform no longer tries to optimize these images for size (which was inadvertently removing the animation). When a logged-in parent pays an invoice online, the option to save their credit card at payment time is now connected with the “Require Auto-Pay” option in Studio Settings. Did you know? Your billing process can be totally automated with Auto-Invoicing, and you can even charge a credit card automatically with Auto Pay as well!